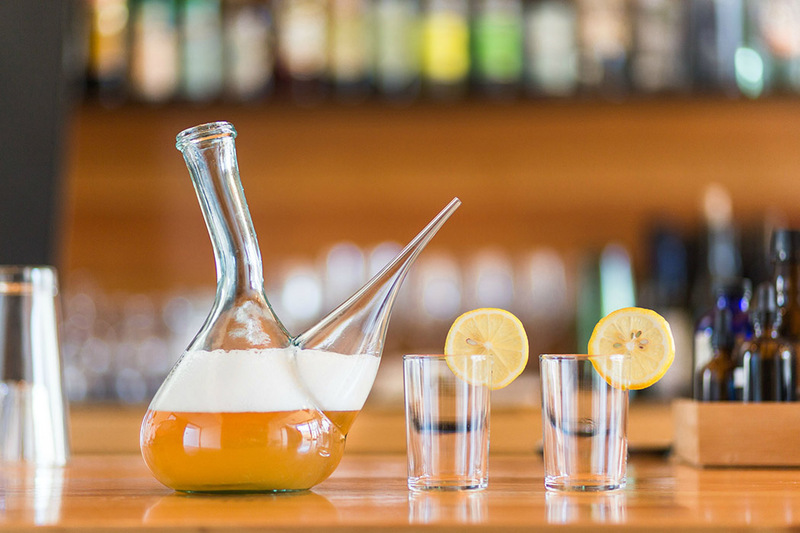 For the modern bar setting, using porrons is about making communal drinking a little more fun, and increasingly, bars and restaurants across the U.S. are incorporating the vessels into their drinks service. In Spain, porrons are typically used for wine or cider, and in the U.S., many places like Tasca Chino in New York and Qui in Austin honor that tradition, but there’s no hard and fast rule about what kinds of drinks can be poured. Rachel DelRocco, beverage director at Qui, says once their staff was comfortable with serving wines and ciders in porrons, expanding into other territory was a natural next step. Now they serve calimocho (a Spanish drink combining red wine and cola) as well as a mixture of tepache and beer. Meanwhile in Dallas, Proof + Pantry serves brunch rosé in porrons, and at Estadio, Kuller offers three options for porron service: a beer/lemon soda mix, Txakoli wine with lemon soda and orange bitters, and Garnacha with lemon soda and Angostura bitters. 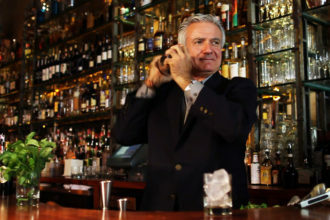 Dale DeGroff pioneered the modern cocktail movement; here’s how he got his start as a bartender.